Brett Redfearn was named the U.S. Securities and Exchange Commission’s Director of the Division of Trading and Markets in October 2017. Mr. Redfearn joins the SEC from J.P. Morgan, where he was Global Head of Market Structure for the Corporate and Investment Bank. Mr. Redfearn has a long history in the U.S. equity markets, having worked with investors, exchanges and broker-dealers. During his career, he has focused on how technology, regulation and business trends are changing trading patterns across asset classes and geographic regions. He has helped build electronic trading products, worked closely with exchanges and other trading venues as these products evolved, and engaged with global asset managers on major regulatory developments. 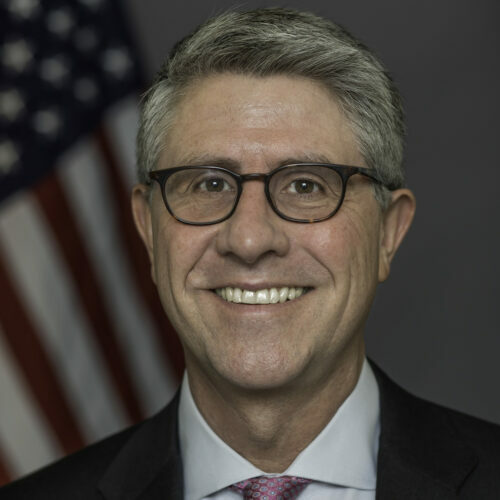 He has also been a frequent contributor at policy forums surrounding U.S. equity markets, and has been an active participant at several meetings of the SEC’s Equity Market Structure Advisory Committee. He has served as Chairman of SIFMA’s Equity Markets and Trading Committee and was a participant on the Security Traders Association (STA) Market Structure Analysts Committee and the Canadian STA (CSTA’s) Trading Issues Committee. Previously, Mr. Redfearn has served on the boards of Bats Global Markets, BATS Exchange, the National Organization of Investment Professionals, the Chicago Stock Exchange, and BIDS Trading. Mr. Redfearn earned his M.A. in political science from the New School for Social Research and his B.A. from the Evergreen State College in Olympia, Washington.